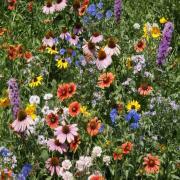 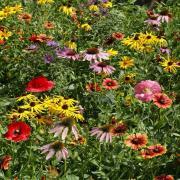 These regional wildflower seed mixtures take into consideration the special environmental conditions in various parts of the USA. 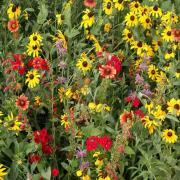 Outsidepride.com offers a selection of regional wildflower blends especially well suited for your location. 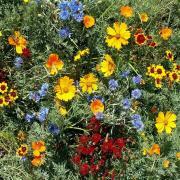 This wildflower seed mix is formulated for elevations above 7,000 feet in AZ, CA, CO, ID, MT, NV, NM, OR, UT, WA, and WY. 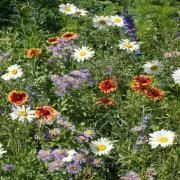 This wildflower seed mix is formulated for CT, DE, ME, MD, MA, NH, NJ, NY, PA, RI, VT, Washing D.C., WV, and VA. 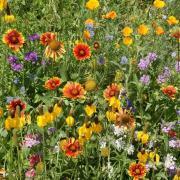 This wildflower seed mix is formulated for elevations below 7,000 feet in Northern CA, Western OR, and Western WA. 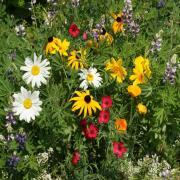 This wildflower seed mix is formulated for AL, AR, Northern FL, GA, LA, MS, NC, Eastern OK, TN, extreme Eastern TX and SC. 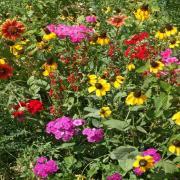 This wildflower seed mix is formulated for most of TX except the extreme Eastern and Southern parts, and most of OK except extreme Eastern part.